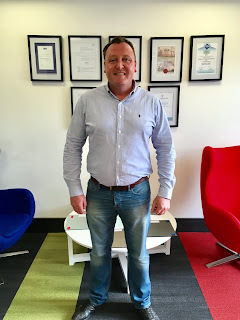 Bespoke is delighted to welcome another valuable member to its build team, Craig Blackhurst. In the wake of what is set to be Bespoke's record breaking turnover year, Craig joins the team in the capacity of Site Manager. Hailing from Telford, he began his journey in the construction industry as an engineer but soon progressed into site management. With over 10 years experience in this challenging role, he has overseen the successful completion of a host of new-build and residential schemes. Craig will be putting his proven skills to good use over the coming months when he takes charge of our soon-to-be-announced Shropshire based project for the NHS Trust (stay tuned for details on that one!). We wish Craig the best of luck in his new role with us!